PC is probably the first and most popular consumer electronics product of all time. Most homes has at least one sitting on a desk, whether they use it or not. 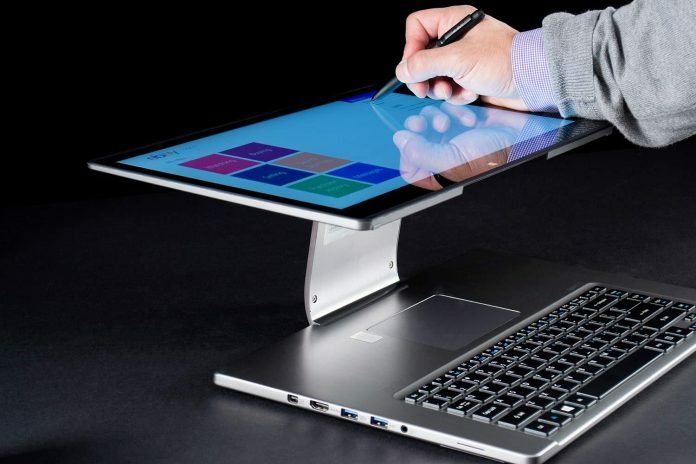 The significant development in the tablet and laptop industry though has changed things dramatically as it appears that users now favor mobility more than power. Despite the above though, two studies prove that Apple’s (NASDAQ: AAPL) Mac brand, the PC line-up primarily known for its brilliant design, is the sole currently in the global market whose sales figures go up, unlike the rest where the best scenario is maintaining the numbers of previous seasons. Mac shipments reached 5.1 million during the second quarter, according to research firm IDC, representing 16% year-over-year growth. 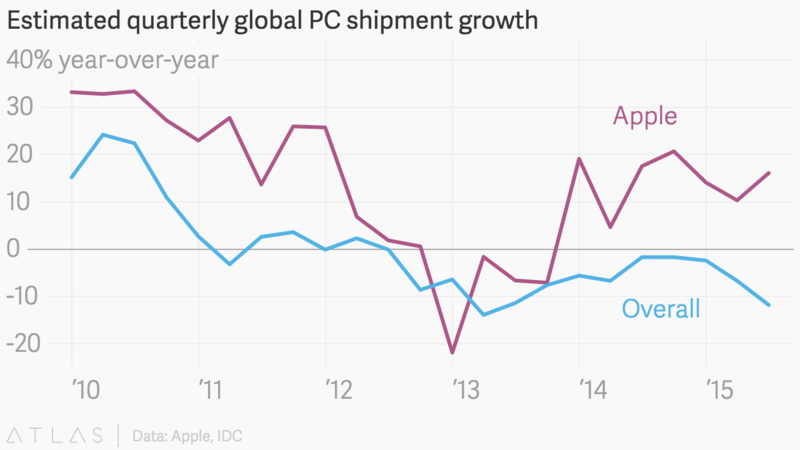 Apple was the only of IDC’s top six global PC makers to grow shipments last quarter. Overall industry shipments declined 12% to 66 million, according to IDC. Lenovo, the global leader, increased its share to 20%. According to Quartz publication, the particular ongoing plunge has been on since 2012, which was the last year that PC makers saw a growth in their quarter sales figures. It also added that last year’s results were more or less expected due to the upcoming release of Microsoft’s (NASDAQ: MSFT) Windows 10, channel inventory reduction and the overall weakness of foreign currency. On the other side of the fence, Apple is currently on the 22nd quarter of the last 23 were it outpaces its rest rivals in the PC making industry. Another research published by Gartner, states that global PC market’s total shipments have fallen down to 10% during last quarter as it achieved only a 68.4 million benchmark. In its list showcasing the top five brands that have suffered the most severe damage, the Cupertino giant was not included. First on the list was Lenovo (NASDAQ: LNVGY), the Chinese PC maker that prevails in the respective market despite plummet.